Air Mauritius has agreed long-term leases for two Airbus A330-900neos with Air Lease Corporation. The two aircraft will join the carrier in September and October 2018, replacing two A340-300Es whose leases expires in November and December 2018. Air Mauritius will initially deploy the aircraft on medium haul routes to Guangzhou, Hong Kong, Delhi and Perth. The A330-900s will be configured in a two-class layout accommodating 291 passengers with 28 fully lie-flat seats in Business Class and 263 in Economy. The jets will also feature a new inflight entertainment system as well as Wi-Fi. “This decision follows a thorough evaluation process and accelerates the fleet renewal program of the airline with another state of the art aircraft,” Air Mauritius said in a statement. Air Mauritius also has six A350-900s on order and has announced it is deferring delivery of the last two from 2020 to 2023. More than 2,000 employees and guests were treated to a spectacular light show as Lufthansa welcomed its first Airbus A350-941, D-AIXA (c/n 074), with a glamorous party in Munich on February 2. Carsten Spohr, Lufthansa’s CEO, told guests that the aircraft was a milestone in the carrier’s strategy. “We are fascinated by the innovations the A350 XWB brings,” he added. The aircraft, which has been named after the city of Nuremberg, is configured with 48 seats in Business Class, 21 in Premium Economy and 224 in Economy. Lufthansa has 25 examples on order and will base its first ten A350s in Munich, launching services on February 10 to Delhi and then Boston. Cabin installations were completed by Lufthansa Technik in its maintenance hangar in Munich and a Supplemental Type Certificate (STC) has been issued by the European Aviation Safety Agency. 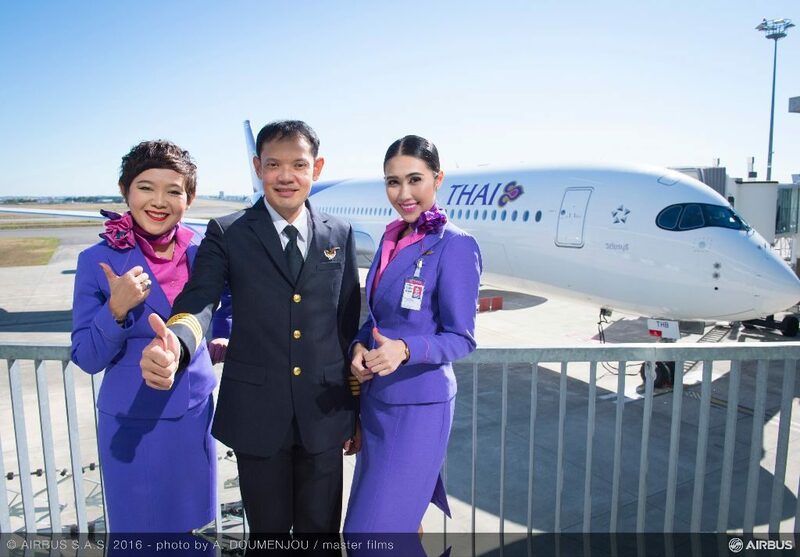 Thai Airways International will delay introducing the Airbus A350 XWB on services to Melbourne because the aircraft has not yet been approved by the Australian authorities. “Due to additional inspections and requirements from Australian authorities on Thai’s newest aircraft type A350XWB, the approval process is not able to be completed in time for Thai to operate the maiden flight by September 16, 2016,” the carrier’s president Charamporn Jotikasthira said in a statement on the airline’s website. 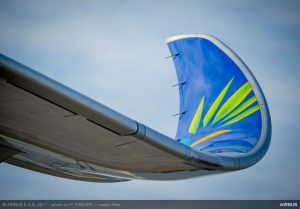 The airline says it expects approval to be finalised in time for the aircraft to debut on the route when the winter schedule comes into force in October. In the meantime, Thai will continue to use the Boeing 777-200 on its twice-daily flights between Bangkok and Melbourne. While approval from the Australian authorities is sought, the A350s will continue to fly on domestic services from Bangkok to Chiang Mai and Phuket. Vietnamese low-cost carrier Jetstar Pacific Airlines has finalised the purchase of ten additional Airbus A320ceo aircraft. This firm order follows an MoU announced earlier this year at the Farnborough Airshow. The contract signing was witnessed by Tran Dai Quang, President of the Socialist Republic of Vietnam and François Hollande, during the French President’s state visit to Southeast Asian nation. Based in Ho Chi Minh City, Jetstar Pacific is a joint venture carrier between Vietnam Airlines (70%) and the Qantas Group (30%). 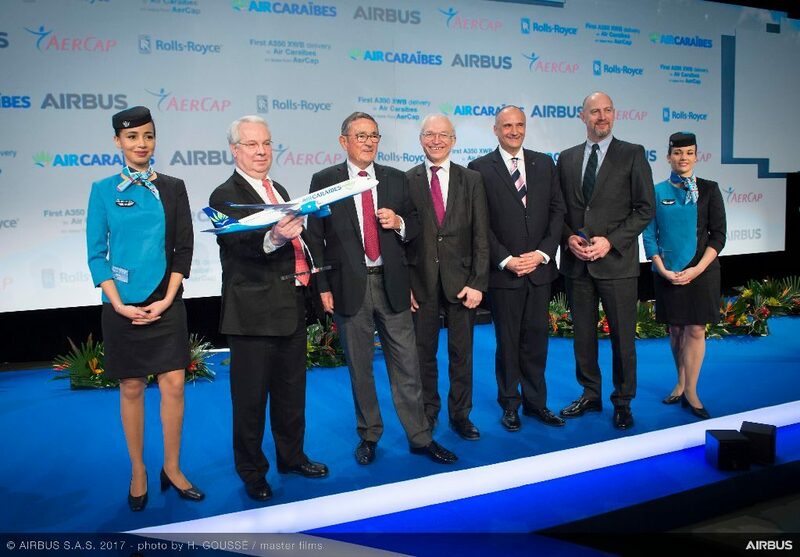 The new aircraft will join the carrier’s existing fleet of 12 leased A320 Family aircraft, and this order marks the first direct purchase by the airline of an Airbus aircraft type. 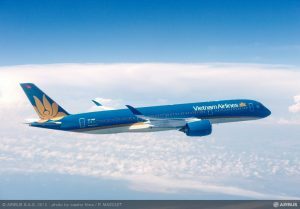 During the same ceremony Vietnam Airlines signed an MoU for ten more A350-900s. These additional aircraft will be used by the airline to fly new non-stop services to the US, starting with flights between Ho Chi Minh City and Los Angeles. The carrier became the first airline in East Asia to operate the A350 XWB when it took delivery of its first example on June 30, 2015. It currently has four aircraft in service, with another ten on firm order. To date, Airbus has recorded a total of 810 firm orders for the A350 XWB from 43 customers worldwide. A total of 36 A350-900s have been delivered so far and the aircraft is now in service with eight carriers, including Vietnam Airlines. Virgin Atlantic Airways has placed a $4.4bn firm order for 12 Airbus A350-1000 aircraft. Eight of the jets will be purchased outright with the other four leased. Virgin has selected the A350-1000 as a replacement for its remaining Boeing 747-400 and Airbus A340-600 aircraft, with the first airframes arriving in early 2019. The deal was announced on day one of the Farnborough International Airshow. Virgin intends to operate the A350-1000 on both business and leisure routes from London Heathrow and London Gatwick. The initial aircraft will operate to “key” US destinations from Heathrow. Because the jets will be used on business and leisure routes, they will be delivered to the airline in two configurations. The business fleet will seat up to 360 passengers with the leisure fleet accommodating up to 410.